As this movement opens you are taken back in time, about three hundred years, to the continent of West Africa. You imagine that you are listening to the music of Yoruba, Hausa, Akan, Ewe, Senufa, Benin, Dahomey, Ebo or Ashanti people, etcetera. In other words, you are listening to a music which has its historical roots in the soil of Africa. In the 20th measure the violins enter on the note of D flat, one octave above high C. Programmatically the violins represent the first slave ships, stealthily approaching the shore of West Africa. The high D flat continues, gradually increasing in volume and intensity. by teh 58th measure, the D flat has reached an alarming medium forte. In the 59th measure, the slavers land and commence to capture the Africans. At this instant, the calmness, serenity and calculated capriciousness of the African music are disturbed. Now, fright, flight, cacophony and mayhem can be heard in the music. The rest of the movement reflects the futile efforts of the Africans desperately trying to avoid the chains and shackles of the relentless slavery, ending with the bassoon sounding the nine-note motif that signals the unknown future of the captives. This movement opens with a dirge-like passage which denotes the captives being stabilized in the bowels of the slave ship, with chains and unyielding leg irons. Sounds of pain are heard at intervals throughout the movement. Physical suffering and thoughts of sadness burdened with bewilderment rack the bodies and tax the minds of the captives during the middle passage, as well, tender thoughts and supplications of prayer for their families left behind pour forth from their tongues and hearts between the frequent moments of anguish and excruciating pain endured during the middle passage. The motif, in a different context, sounds again near the end of this movement, which is followed by African exclamations, that are neither happy nor sad, at the sight of land - America - the new world, from which comes a new kind of human being (a transmutation), the African American. Since the Great Awakening of the early nineteenth century it was realized by most of the known world that the African American reflected spirituality, love and a deep sense of compassion in his/her music; therefore, the 3rd movement reflects as deeply as the composer. Conductor and musicians are able to emit through musical sounds : compassion and love for all mankind. The opening nine chords of the 4th movement, accompanied by the side-blown Chinese flute heralds the freedom of the African American academic and artistic expression, which actually began in earnest after the abolition of slavery, and has continued to blossom consistently even to this day, by the grace of God. This movement, in essence, reflects this evolution beginning in the early sixties through 1993. All praise is to God! One of the most intriguing and original jazz instrumentalists, Yusef Lateef strives to break down the walls that separate (or compartmentalize) musical idioms. This said THE AFRICAN AMERICAN EPIC SUITE is congruent with the notion that music is a combination of the world's many so-called "styles." On this early-'90s release, Lateef seeks to show through musical composition the history of African Americans. Composed in four movements called "The African as Non-American," "Transmutation," "Love for All," and "Freedom," Lateef uses an almost literary technique to outline the plight, woe, and jubilation of Black Americans. The suite opens with soft, jungle-like rumblings and essentially progresses and evolves through many stages of change. In the end, we hear oppression turn to love than to enlightenment than to liberty. Performing with the Cologne Radio Orchestra of Germany and an ensemble called Eternal Wind (Ralph Jones, Frederico Ramos, Adam Rudolph, Charles Moore) this album boldly attempts to bring to life the struggles and joys of Black America through rich orchestration, ominous percussive effects, and Lateef's inimitable reed work. The distinguished musician-composer, educator, and scholar Yusef Lateef long ago eschewed issuing recordings, or performances for that matter, within the so-called jazz canon. Though masterfully skilled in that area, Lateef has instead concentrated his recorded energies on achieving new levels of spiritual connection with his roots, his people, and a higher consciousness. For this 1993 German recording, he exercises primarily his considerable compositional skills on a development of a serious piece of work encompassing the Cologne Radio Orchestra and the organic world music ensemble known as Eternal Wind (percussionist Adam Rudolph, woodwind specialist Ralph Jones, guitarist Federico Ramos, and brass-percussion man Charles Moore). What results is a work dealing with elements of the journey of the African diaspora, beginning with primal Africa? 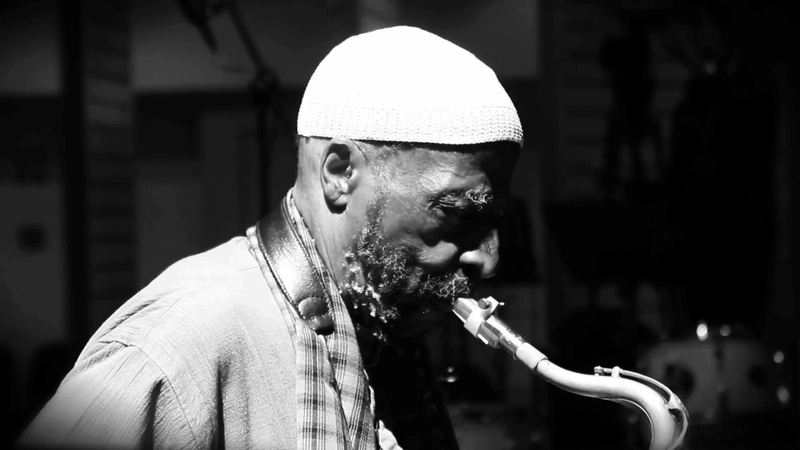 During his precious passages of the tenor saxophone, Lateef emotes with an animalism that is deep, passionate, and almost ritualistic in its intensity. This is a work that requires intent listening, and one that will yield impressions that are quite true to the composer's intent.